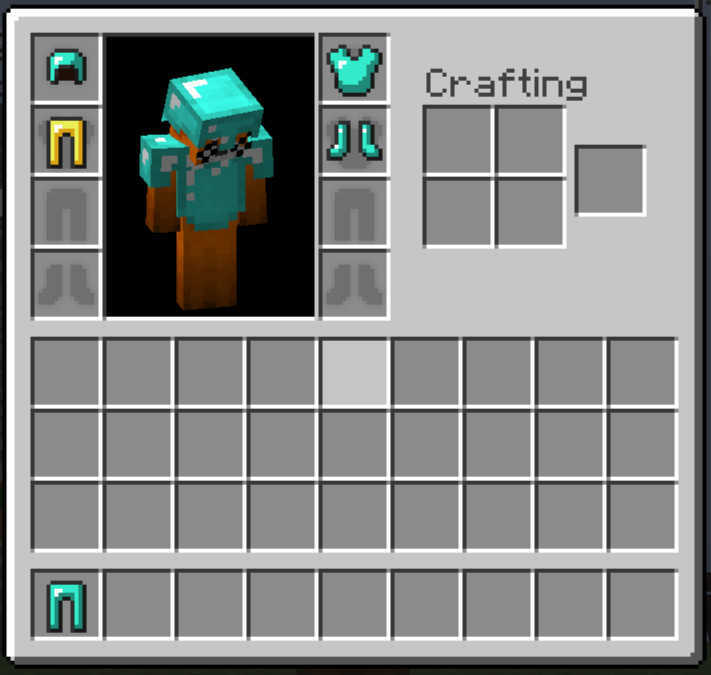 Cosmetic Armor is a simple mod that brings four additional armor slots to the Player's inventory. What's special about these four slots though is that any armor placed in them will only appear visually on the Player, and not affect the Player in any way. It allows for the usage of one armor piece (say, Boots of the Traveler) while still retaining the aesthetics brought by another. Pressing the Cosmetic Inventory hotkey (C by default) opens up this GUI. The slots along the left are the armor slots you're used to, where the slots on the right contain the armor to be displayed on your Player. Any armor that doesn't have a corresponding piece of cosmetic armor will render as normal. Don't have any armor you'd rather wear, but don't want to look at what you're wearing either? Then craft yourself some "Skin" armor today! This armor, when placed in a cosmetic armor slot, will simply hide the armor in the corresponding armor slot without replacing it with anything else. Regarding Mod Packs: I've had a lot of people ask me about mod packs lately, so this is my official say on the matter.Permission is automatically granted, unless a mod pack is found to be breaking a mod's license/the author's wishes regarding packs, in which case permission is automatically revoked. Like what I do here? You can support me in many ways! That is some beautiful armour. This was a much needed feature indeed. I wish to know what mod that armour is from in your screenshot. I'm actually surprised this hasn't been done yet. Naga Scale armor I missed you! 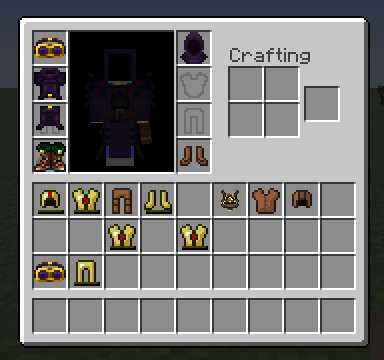 Question: Is there a way to cloak a piece of armor? E.g., I abhor boots, but I would still like to wear them for practical purposes. Bug report on v1.0.1: You can shift click armour in to the wrong slots. Is this compatible with Baubles? I know that the armour slot for this and the baubles slot are in the same position. Finally! I remember looking for a mod like this a couple months ago. Thank you for making it! Also, a bug! Item duplicate when placing armor (in the head and leg slot so far). Description: I place a helmet and it shows up in the cosmetic GUI but I get to keep the original helmet, when removing the helmet from the cosmetic GUI, I get another copy of the helmet. I wish to know what mod that armour is from in your screenshot. 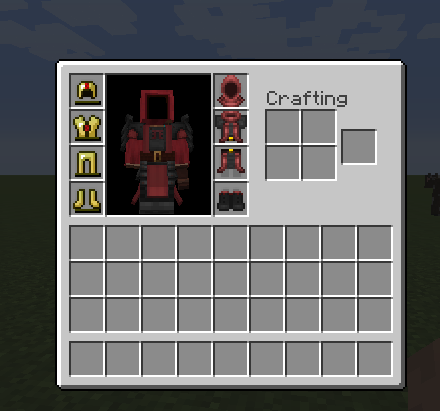 Crimson Knight armor from Thaumcraft 4. 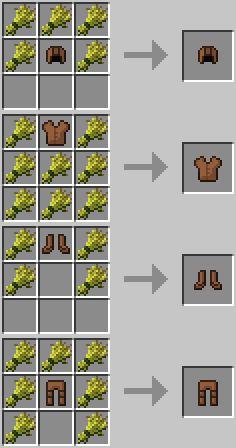 Would this work Armorer Workshop Armor? I'm wondering this myself. I would love to use this, but I don't see the slots when I have Baubles installed. Baubles and this have separate keybinds, which each open their own GUI. No conflicts. Good news, I tracked down that wonky sync bug. Okay, last post from me for a while. Just pushed out v1.0.2! Instructions for the "skin" armor can be found in the main post.